DNA, which contains the genetic information of an organism, consists of long chains of nucleotides. In order to study the functions based on the sequence of these building blocks, DNA molecules must be inserted in carrier molecules (plasmid-vectors) to be multiplied. For this cloning process, a research team from the University of Bayreuth has developed a highly efficient, fast and inexpensive method that is versatile enough to be deployed in all areas of biology, biochemistry and biotechnology. A key feature of the method is that it makes any painstaking screening of bacterial colonies unnecessary. The scientists presented their innovation in the journal Scientific Reports. 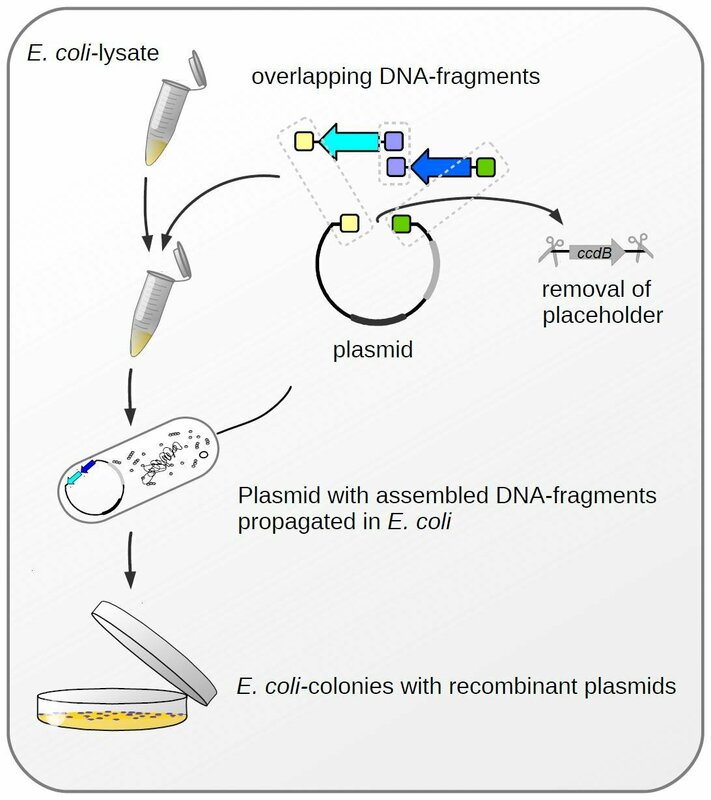 One thing that all methods subsumed under the term molecular cloning have in common is that the DNA fragments of interest are first incorporated into larger carrier molecules, the plasmid-vectors. Bacteria are then made to take up these vectors bearing the DNA fragments. As the bacteria reproduce and form bacterial colonies, the DNA fragments are multiplied thousands of times. Up to now, however, these methods have had one considerable drawback: Since the insertion of DNA fragments into the carrier molecule does not always proceed as smoothly and perfectly as required, only some, but by no means all, colonies come to possess the vectors with the DNA fragments to be duplicated. In order to identify these "success stories," time-consuming and expensive screening has been unavoidable up to now.